If you do an internet search on “artificial sweeteners”, you’re bound to find a slew of articles decrying them and just as many articles touting them as the next best thing since sliced bread. You’ll find references to studies, good and bad, showing how toxic these chemicals are. You’ll also find references that support their safety. So, are they toxic or not? If not, are they good calorie-free substitutes for table sugar? And the question many of us have, will they help you lose fat? As for their safety, you can debate either side of this issue almost indefinitely because we just don’t know enough about their complex effects within our bodies at this time. Any substance can be toxic at high enough doses, even those essential to life such as water and oxygen. Several sugar substitutes such as saccharin and aspartame are known to have toxic effects in humans. But they are generally considered safe to consume at the levels needed to make our foods more palatable. However, the stronger your sweet tooth, the more sweeteners you’re likely to eat, inching your consumption levels ever closer toward known levels of toxicity. Whether you ever reach those levels, or have any side effects, depends on your eating habits. Just take a look at plain sugar. Decades ago, people never imagined we would consume as much sugar as we do today. Over the years, we’ve trained our brains to require higher levels of sweetness to be satisfied. This meant adding more sugar to our foods. While generally considered to be non-toxic at “normal” levels, when you eat too much sugar, you will develop metabolic problems like obesity and diabetes. For many of us, our brains have lost touch with how much sweetness it really needs and our health is paying for it. The obvious “fix” to this sweetness addiction is to substitute sugar with low- or zero-calorie sweeteners. Indeed, this is the path that many people have chosen although many still have trouble losing unwanted pounds of fat despite the ostensible calorie reduction. However, this shouldn’t come as a surprise. When you crave high levels of sweetness, you’re more likely to end up eating more treats, even if they are lower in calories per serving. And when you are in situations where you aren’t able to eat sugar-substituted versions of a dessert, such as at a restaurant with friends, you’ll pile on even more calories. Despite intentions to lose weight, your addiction to sweetness trumps any discipline or willpower that you can muster. The real solution to reduce caloric intake and achieve weight loss is to break this addiction. As you slowly ratchet down the sweetness level you consume, your brain adjusts accordingly. With time, you’ll no longer crave the same level of sweetness as before, making it easier to cut down on your overall calorie intake. In fact, you may find the previous levels of sweetness to be too much for you. I’ve experienced this effect several times as I cut down on various sugar-laden foods. 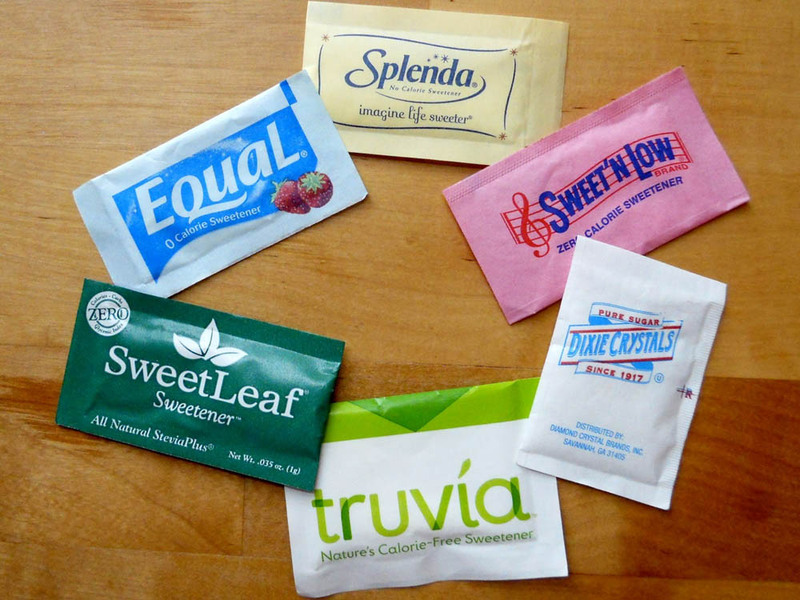 So, in the end, artificial sweeteners ARE bad for you but not in the sense that they are biologically toxic. Rather, they make the process of losing weight and keeping it off that much harder since they help fuel your addiction to sweetness and high-calorie foods. If you are truly serious about losing fat, do yourself a favor and cut down (not out!) on all forms of sweetness. You might be surprised how many extra calories those low- or zero-calorie sugar substitutes were making you eat before! ©2014 Raymond Wu. Picture Window theme. Powered by Blogger.